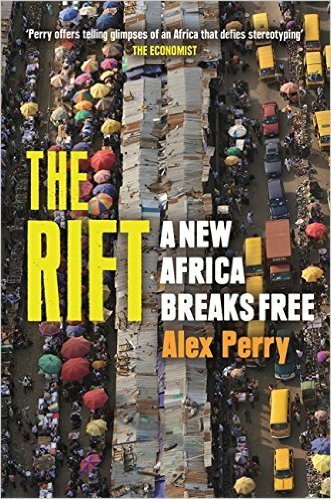 Taking the Great Rift Valley – the geological fault that will eventually tear Africa in two – as his central metaphor, Alex Perry explores the split between a resurgent Africa and a world at odds with its rise. Africa has long been misunderstood – and abused – by outsiders. Perry travelled the continent for most of a decade, meeting with entrepreneurs and warlords, professors and cocaine smugglers, presidents and jihadis, among many others. Opening with a devastating investigation into a largely unreported war crime in Somalia in 2011, he finds Africa at a moment of furious self-assertion. This is a remade continent, defiantly rising from centuries of oppression to become an economic and political titan: where cash is becoming a thing of the past, where astronomers are unlocking the origin of life and where, twenty-five years after Live Aid, Ethiopia’s first yuppies are traders on an electronic food exchange. Yet, as Africa finally wins the substance of its freedom, it must confront the three last false prophets of Islamists, dictators and aid workers, who would keep it in its bonds.